Treating the sensitive skin around the eye area. When skincare brands launch a line in Canada, there’s always a separate product to apply around the eye area? Why is this? Why don’t regular moisturizers work in this specific area of the face? This month we ask our resident dermatologist Dr. Lisa Kellett to shed some light on this sometimes confusing subject. Cosmetics: How is the skin different around the eye area from the rest of the face? Dr. Lisa Kellett: The skin in the eye area has less subcutaneous tissue under it and is thinner than on the rest of the face. To put this into perspective understand that the average thickness of the skin on the back and soles of our feet is 4 mm. That thins to about 2 mm on the scalp and forehead. And it thins even further to less than 1 mm on the eyelids and around the eye. So you see, you are working with a much finer thickness of skin that is very fragile and delicate. C: Why is it that many dermatologists recommend using an eye cream? DLK: Some moisturizers contain actives that are too irritating around the eyes. You may need a formula that is much milder. C: What are the main concerns around the eye area? 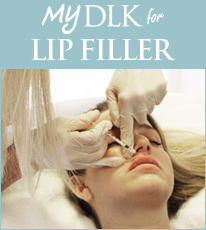 DLK: Crows feet and dark under eye circles are the most concerning to clients. Fine lines and wrinkles tend to show up in this area first because there is less subcutaneous tissue to support it. C: What causes dark circles under the eyes? DLK: Dark circles are actually blood vessels under the eye. With age they often worsen because they become more obvious when you loose fat around the eye. However, for some people they are genetic and can occur at a younger age. C: Does the under eye area of ethnic skin differ from Caucasian skin? DLK: It definitely can. Some ethnic groups are more prone to getting certain skin conditions under the eye such as dermatosis papulosa nigra. C: We know the importance of using broad spectrum sunscreen in preventing premature aging. But can sun damage show up around the eye? DLK: Good question. Yes, definitely. Sun damage under the eye usually shows up as a loss of elasticity, but it can also manifest as brown spots and even skin cancer. It’s another good reason to use sunscreen every day. C: What ingredients should you look for in an eye product? DLK: Look on the back ingredient list of algae extract, vitamin A, vitamin E, rice bran oil, and glycerin. C: Does stress affect the eye area? DLK: Yes, stress can affect all of the skin including the eye area.